Are you the best, ever?! Yep, I think you are. Thank you so much for sharing your experience. It means more to me than you could ever know! 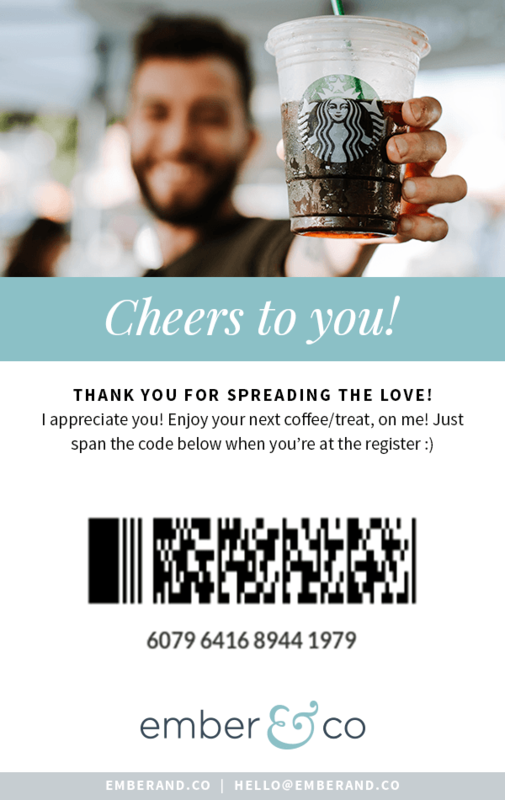 Here's that Starbucks eCard code I mentioned 😉 Just pull it up on your phone and have the barista scan it next time you're at the register!